With the exception of Huawei, nearly all Android OEMs planning to release a 5G-ready handset this year will use Qualcomm’s standalone Snapdragon X50 or X55. This Snapdragon X55 is Qualcomm’s second 5G chipset and works alongside the main SoC to provide 5G connectivity. 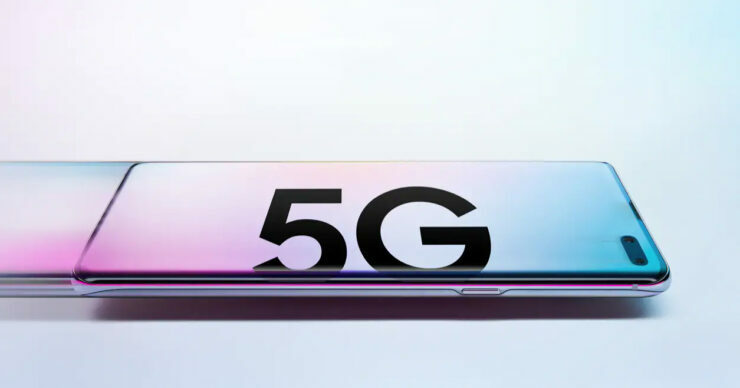 However, the company has now announced that its third 5G baseband silicon will be integrated into its next chipset, giving several advantages to the smartphone manufacturer. According to the latest information, Samsung will be the first to take advantage of this chip. During the Mobile World Congress, Qualcomm introduced its first SoC which contains the application processor as well as the 5G modem. This means that the next generation of 5G phones will not have to use a separate 5G modem that hogs resources such as space and power as the SoC will come with a built-in 5G modem. The integration of the 5G modem with the main processor would also mean that manufacturers would be able to keep up with the high power demand of 5G by installing bigger batteries whilst still managing to churn out phones that are comparable to the current LTE phones when it comes to weight and dimensions. Moreover, an integrated chip would also dial down the cost of 5G phones and increase the adoption rate of 5G as any manufacturer planning to use Qualcomm’s next flagship chip would have no choice but to make its phone 5G-compatible. Qualcomm has also revealed that Samsung would be the first manufacturer to work with the chipset manufacturer on the new integrated 5G chip. This was also confirmed by Samsung and the company said that it is quick to deliver the most advanced network innovations to consumers so they can enjoy the fastest possible speeds. If the presser at the MWC is any indication, the Galaxy S11 would most likely be fueled by the new chip, although both Qualcomm, and Samsung didn’t betray any information related to this. Qualcomm will begin sampling the integrated processor to its customers in the second half of the year and the chip will officially be released in the first half of the next year. This means that the Galaxy Note 10, which is rumored to feature a rear-mounted quadruple camera system will not sport it. While Qualcomm continues to make strides, its rival Intel and MediaTek have still not released a 5G chip, though both companies have announced them. Needless to say, Qualcomm is indeed at the forefront of 5G development right now and the higher speed advantages most likely means that the SoC maker has secured Samsung as its partner for the near future.